It's becoming more difficult every day to protect your privacy while browsing online. With more and more services being compromised on a daily basis, it is hard to be assured that your personal browsing data is safe. Using a VPN on Windows 10 is a great way of maintaining privacy by routing traffic through your ServerMania server. Instead of paying for a VPN provider, you should consider creating your own VPN server. It's a lot easier than it sounds and can be done in under 5 minutes. In this article, we will show you how to setup your own VPN server that can be used on Windows 10. Setting up a personal VPN server on WIndows 10 is key to maintaining your privacy online. Every time you use a public WiFi network like in a coffee shop or hotel, you have no idea where your browsing data may be routing to. When you create your own VPN server on Windows 10, the network you connect to will only see the connection established between your Windows 10 computer and your ServerMania server. This connection is encrypted, and the local network won't have any idea what sites you are accessing. Even when connected to your local ISP, you can't be certain what browsing data your provider may release to third parties. By using a VPN on Windows 10, you can be assured that this data is secure. Is it hard to create my own personal VPN server and set it up on Windows 10? It's actually really easy to setup your own cheap VPN server at ServerMania and connect to it on your Windows 10 machine. It takes only a few minutes to setup a VPN. We'll show you how to setup a Windows 10 VPN in this article. To begin, you'll need to order a ServerMania Hybrid, Cloud, or Dedicated Server. This is the server that will host the VPN that your Windows 10 server will connect to. Use coupon code SOCIAL10 to a receive lifetime 10% off discount. When ordering the server, select CentOS as the operating system. We'll email you the server login details once the server is ready. On your Windows 10 machine, you can download PuTTY which you will use to SSH to your ServerMania server. Login as root to the IP address we sent to you in the welcome email. Once you have saved this text file, you can use this file in your Windows 10 VPN client to connect. You can now connect to the VPN on your Windows 10 computer. 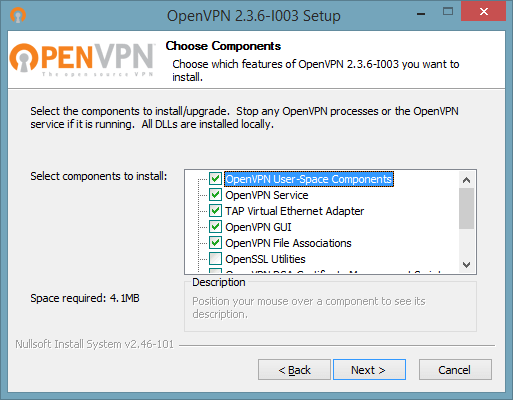 Click the link below to download the OpenVPN client for Windows 10. After you’ve downloaded OpenVPN, open up the install file. Now you can copy the OpenVPN configuration file you created earlier into the OpenVPN directory. You can now connect using your VPN client to your own VPN server on Windows 10. If you need any help, feel free to contact our support team.